Paramount Pictures has tapped Craig Brewer to direct Coming to America 2. Eddie Murphy released a statement announcing that the highly anticipated sequel is finally moving forward 31 years after the original hit theaters. 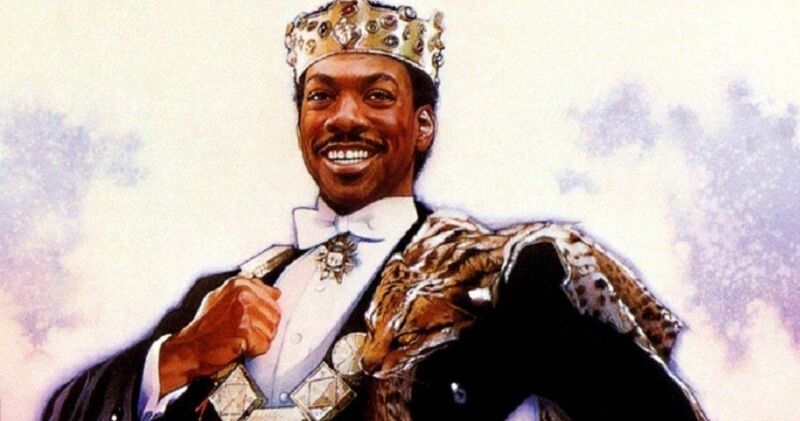 Murphy will reprise his role as Akeem, the pampered African prince who must return to America to find his long-lost son and true heir to the throne of Zamunda. It is believed that the movie will see the return of Arsenio Hall, Shari Headley, John Amos, and James Earl Jones. The decision to have Craig Brewer helm Coming to America 2 comes after he just directed Eddie Murphy in Netflix’s Dolemite Is My Name. Murphy was reportedly excited to work with Brewer again and felt that he would be the perfect candidate to direct the sequel. Jonathan Levine was previously announced as the director, but it’s unclear why he left the project. Eddie Murphy had this to say about the sequel and working with Brewer again. Former Black-ish showrunner Kenya Barris is currently rewriting a script by original Coming to America writers Barry Blaustein and David Sheffield, while Eddie Murphy is producing with Kevin Misher. As it turns out, Murphy isn’t the only one who is excited to work with Craig Brewer. Barris also released a statement talking about working with Brewer. Barris explains. There is not production start date for Coming to America 2 at this time, but it looks like a late 2019 start could happen. Fans of the original 1988 comedy have been waiting for three decades to get any real news about the sequel, so this is an exciting day, especially when the news comes directly from Eddie Murphy. We’ve all waited this long, so waiting a little bit longer shouldn’t be too hard to do. The latest Coming to America 2 news is pretty huge. Making everything about it better is the fact that Eddie Murphy seems genuinely excited to get to work on the sequel. What will Akeem see in America in current times? Enough has changed since 1988 that North America will more than likely seem like an alien planet compared to the times of the original movie. Deadline was the first to announce the Coming to America 2 news.